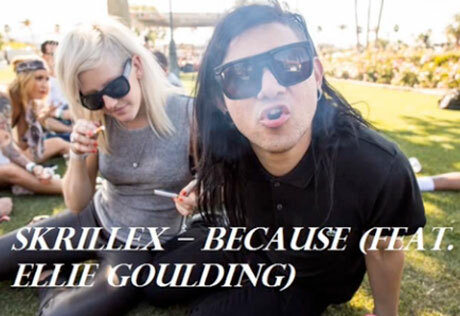 Former lovebirds Skrillex and Ellie Goulding have previously teamed up for some collaborative material, and here's their latest joint venture: "Because." The song, which appeared on Goulding's mix for Annie Mac Presents' "Free Music Monday," is slower and prettier than Skrillex's iconic dubstep bangers. That being said, there's still plenty of low end, beat-driven syncopations and synth-y quirks in this spaciously atmospheric electro-ballad, which includes some warped vocals from Goulding.